Flexible packaging and labels manufacturer Constantia Flexibles has invested in a Domino N610i seven-colour digital UV inkjet label press in a move designed to strengthen its specialist Labels Division. The Domino N610i has a minimum speed of 164fpm and is able to operate as fast as 246fpm, as well as the ability to print at a resolution of 600 x 600 native dpi. The machine’s extended colour gamut can also achieve more than 90 percent of the Pantone range and a white that boasts an opacity of over 70 percent. Constantia’s new investment will be configured as a hybrid label print solution, in conjunction with Converting Equipment International (CEI). Manufacturer Domino said this setup will enable Constantia to produce short run marketing promotions, as well as enter new markets and offer value-added production options to its flexo-based label print offering. 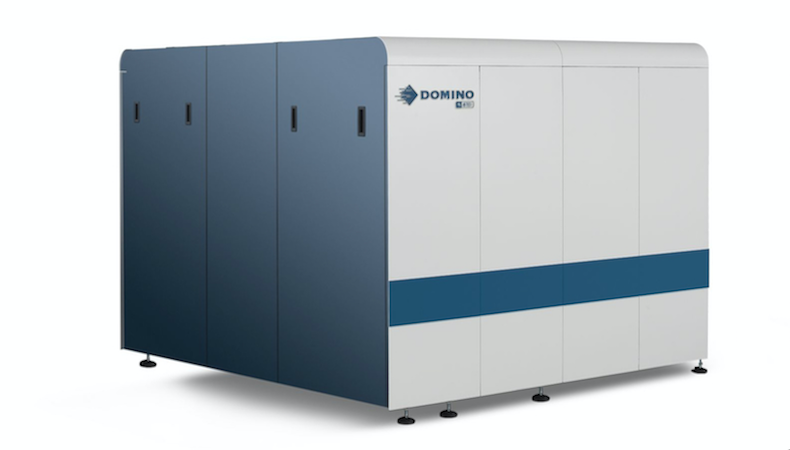 Dan Muenzer, vice-president of marketing at the Labels Division of Constantia, said the company has been working with Domino for a number of years and, as a result of this successful, ongoing relationship, is optimistic about the impact that the new Domino N610i will have on business. The Constantia Labels Division is based in the city of Mason, Ohio, in the US, and offers various services to the market. The Domino N610i will be the first digital label press to begin operating at the Constantia Mason facility. Constantia provides its products to a number of multinational corporations and leading local market companies in a number of competitive sectors, including food, pet food, pharmaceuticals and beverages. David Ellen, president of Domino Digital Printing North America, also spoke very highly of the partnership between Domino and Constantia, saying that the device will help the packaging and labels company win new business. Ellen added: “We are very excited for Constantia Flexibles; they are one of the top label printer converters in the world, and with this acquisition of the Domino digital press in a hybrid configuration with CEI, the possibilities are endless.